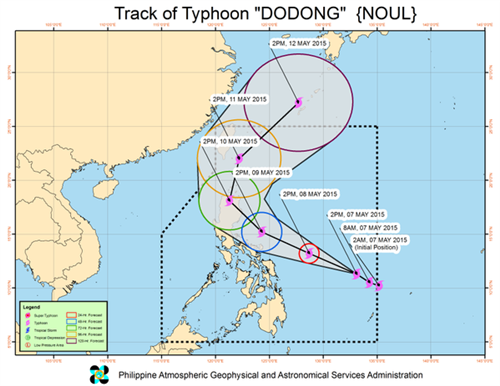 Get the latest updates on tropical cyclone Dodong, which entered the Philippines Thursday. Mag. 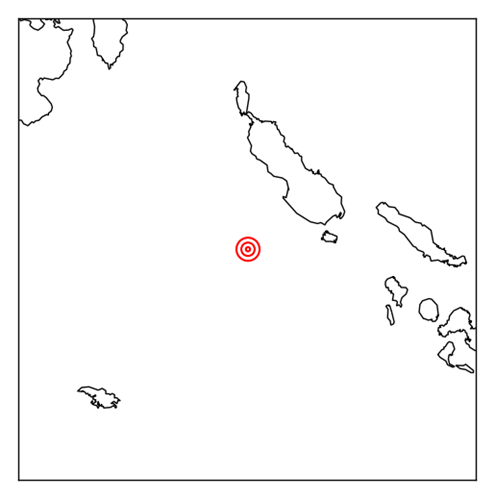 7.2 earthquake hits 150km southwest of the town of Arawa, Papua New Guinea today. No immediate reports of damage/casualties reported. Mag. 7.2 earthquake hit 150km southwest of the town of Arawa, Papua New Guinea today. No immediate reports of damage or casualties reported. 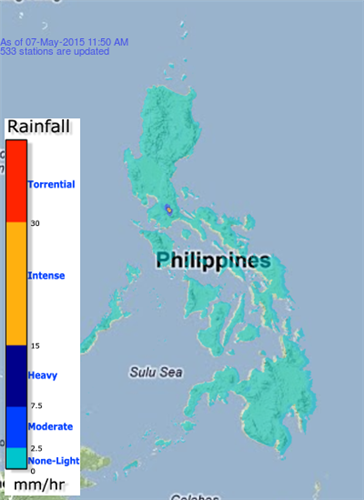 #DodongPH was estimated at 880 km east northeast of Surigao City. TC Update: as of 01PM today 07 May 2015, Typhoon #DodongPH was located at 880 km ENE of Surigao City (11.1°N, 133.4°E). TC Update: as of 12PM today 07 May 2015, Typhoon #DodongPH was located at 885 km ENE of Surigao City (11.0°N, 133.5°E). 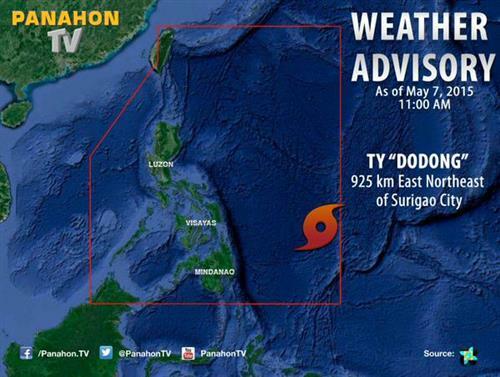 TC Update: as of 11AM today 07 May 2015, Typhoon #DodongPH was located at 905 km ENE of Surigao City (10.9°N, 133.7°E). #DodongPH | Moving west northwest at 17kph, it is expected to affect the Eastern Visayas and Bicol Region for the next 24-36 hrs. #DodongPH | It has slightly intensified now with maximum sustained winds of 140 kph and gustiness of up to 170 kph.